Meet the Hire Plants team. 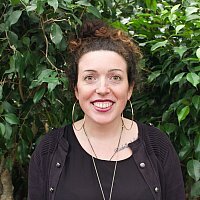 Nicole has been with Hire Plants since early 2016 as part of our office team. Growing up in a family that owned a rose nursery has meant that Nicole has been around plants pretty much her whole life. Enjoying this atmosphere and the people she works with, Nicole is a great asset to Hire Plants. If she were to be any plant, Nicole would be a Syngonium native to the tropical rain forests in South America. 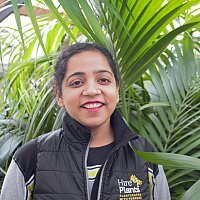 Ravneet or Raavi as we nickname her at Hire Plants is our numbers specialist. She has thorough experience in accounts having worked in Approved Training Organisations in India and in New Zealand. Raavi is an account superstar with more than 10 years experience in this field. 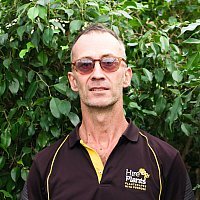 Paul has both extensive operations management and horticulture experience having worked in plant hire, owned his own specialty container gardening business, and managed teams in other field service industries. In his role at Hire Plants, Paul manages the delivery team and service technicians and liaises closely with clients on scheduling, plantscape needs and refurbishments. 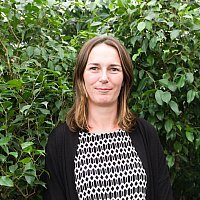 Hazel has been working with Hire Plants as a outbound service technician since mid 2015. 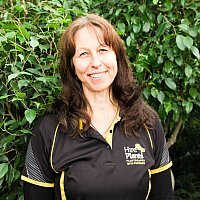 With over 20 years in the plant business Hazel is a highly respected team member of Hire Plants and has developed a great relationship with her clients and is well known for her vast knowledge of plants and care of them. If Hazel were to be any plant, she'd be a cactus. Chris joined Hire Plants in February 2014 with a background in a range of customer service and process improvement roles and a strong interest in horticulture. Chris services customer sites across central Auckland. Maureen joined the team here at Hire Plants in 2004. Previously working in parks and reserves as a maintenance technician, Maureen now uses this knowledge in her role as a service technician. 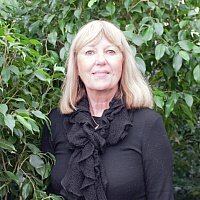 Maureen has developed a close relationship with a wide number of customers over the years at Hire Plants and is well known for her friendly approach as well as her plant care. If Maureen were to be any plant, she'd be a dainty Orchid! Also known as 'Exotic Plantman' John previously worked for Exotic Planters before it was acquired by Hire Plants in 2016. His father, a former biology teacher acquainted him with plants from an early age and as a result, developed his love for what he does. 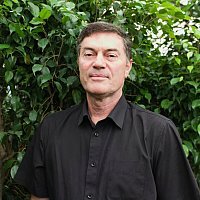 John holds a National Certificate in Horticulture and has also taken courses in ecology and plant physiology at university level. 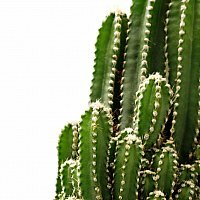 If he had to be a plant, he would probably choose to be a weed as these guys are tough and hard to kill! Kris is a valued member of our service team, quiet and efficient is her motto. Very knowledgeable around plants, she knows straightaway what a plant needs to thrive. Feel free to quiz her about Geography, as Kris collects stamps when she is not caring for plants she knows quite a lot about different countries. When asked what was her favorite plant she told us a Ponytail Palm. 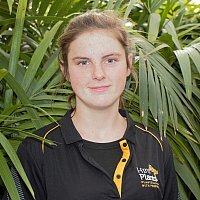 Amanda worked at Natural Tree Products for 12 months before transferring with the aquisition by Hire Plants. She has worked more than a decade in the plant and flower industry. She has many tricks up her sleeve. Amanda used to be a photographer, a florist, a cook, a silk painter... and her two favorite things in the world are still cooking and gardening. 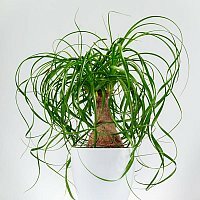 We asked Amanda what she would be if she could be a plant she answered a Dracaena as they are "low maintenance", we wonder if her partner agrees? 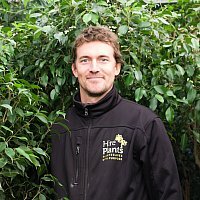 Having managed his own landscaping business and over 10 years with Natural Tree Products Ltd before the plant hire business was acquired by Hire Plants in 2015, Louis has extensive knowledge and experience in particular in outdoor installations, hanging, vertical gardens and commercial landscaping. Louis personally maintains and manages a large number of Hire Plants high profile bars, restaurants and outdoor 'customerscapes'. Previously a manager of a dance company that toured the world, joining Hire Plants in late 2015 was the start of a completely different career path for Simon. Since then he has well and truly settled into his role as one of our service technicians. Enjoying the variety of indoor and outdoor work on the job, Simon has developed a close relationship with the clients he services and has a (now) funny work story to tell about his wasp attack on the job! What is sure though is that Harry has a good eye for plants and the customers are always very happy about his installations and the way he sets up every plant to show their best side. If Harry were a plant he would be a Spath, "as he needs extra care"
Graham has been working with Hire Plants for nearly a year now. Although it is his first time working with plants he has discovered that he is quite interested by them. 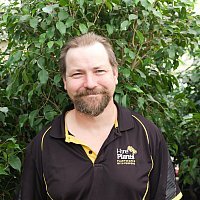 Graham has a vast experience in logistics and knows well how to move plants around while taking good care of them. Graham would like to be a Bird of Paradise if he was a plant, helpful and dedicated he is a valued team member. Rudy is a versatile team member, he works in the nursery as well as delivering and installing plants. Very active he loves being out and about and meeting new people. His favorite part of working with Hire Plants is when he can mess with Harry. During his spare time Rudy enjoys surfing and skating, if you need to know where the swell is best next week-end just ask him, no guarantee about the accuracy of his answers though. Guillaume joined Hire Plants at the end of 2016. With stints in both France and New Zealand as a plant technician and landscaper, Guillaume brought his vast knowledge of plants and design into the fold of Hire Plants helping to create some of the trendy installations we have taken part in over the last two years, Guillaume works on our live plant walls from the design conception to the installation. Guillaume has an Advanced Technician Certificate in Landscaping, which he studied in France. In his spare time Guillaume enjoys travelling, surfing and the odd fishing expedition. If Guillaume were to be any plant in the world it would be a Monstera! 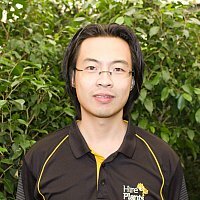 Originally part of the Natural Tree Products team, Benny has a wide knowledge of clients, jobs and plants. With a phenomenal work rate and attitude that nothing is ever a problem, Benny is a hit with customers and the team. 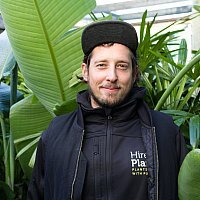 Arlo has worked in horticulture and growing nurseries and joined the Hire Plants team in 2015 supporting the nursery, workshop work, deliveries and property maintenance. Nothing is ever a problem for Arlo and nothing is impossible. He will always find a solution to the everyday issues. 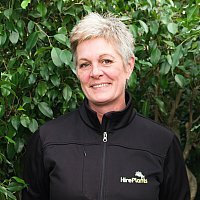 Jennie has been with Hire Plants since the end of 2015, coming to us with a range of qualifications in horticulture, floriculture and landscape design. 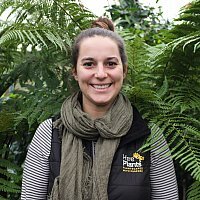 Gardening since she was four years old, Jennie is passionate about plants and enjoys working with like-minded people in the nursery. Interested in Chigiri-e, painting and cross stitch in her spare time she definitely brings these artsy skills into preparing our plants for hire, Jennie is a fully accomplished artist and even sells her artwork. If Jennie were to be a plant she would choose the Monstera Obliqua!